Medical and behavioral health services. Congratulations! You are about to embark on one of the most rewarding journeys of your life! 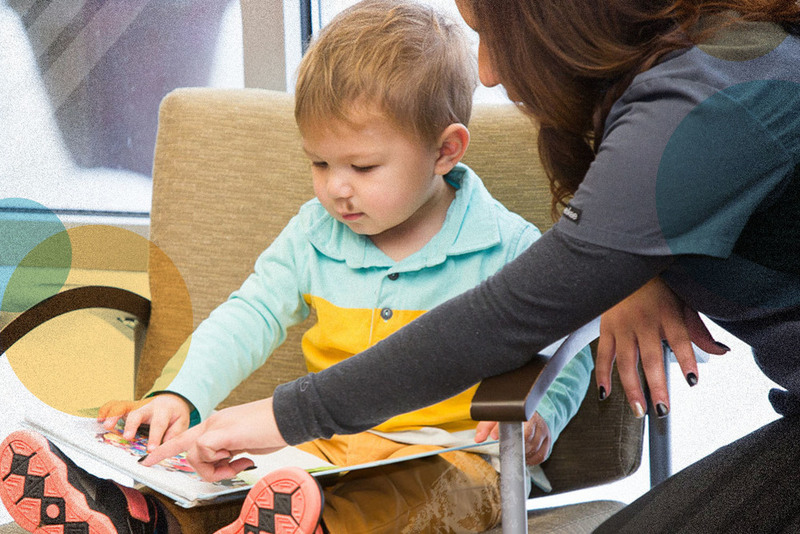 At Sartell Pediatrics, we are committed to helping you care for your child, keeping your baby happy and healthy. Should you choose our practice for your baby, simply tell your obstetrician and the hospital staff upon delivering. The hospital will notify our office when your baby is born, and also assist you in scheduling your first appointment. Please download and complete our Patient Registration Forms for your baby and bring them to your first appointment. Completing these forms in advance will allow you to concentrate on your new baby during the appointment, rather than completing paperwork and reviewing policies. After careful thought and consideration and with the intent to protect your children from life threatening and serious disease, Sartell Pediatrics has adopteda vaccination schedule based on the immunization guidelines as published by the American Academy of Pediatrics (AAP), The Centers for Disease Control (CDC), and The National Institutes of Health (NIH). If your intent is to NOT vaccinate your children, please contact our office to cancel any future appointments. We realize this is a personal decision, and want you to seek a health care provider who can best support you. Please review our full Vaccination Policy and our vaccination schedule before your child's initial appointment. Patient Continuity: We make every effort to have your child's care provided by his or her pediatrician. If your provider is unavailable, we will set up an appointment with the provider available at that time. Cancellations: Your appointment time has been reserved specifically for your child. Changes in this appointment affect many patients. If a cancellation is unavoidable, please call the office at least 24 hours in advance. Arrival Time: In order to provide you with prompt service, we recommend you arrive 5-10 minutes prior to your scheduled time for every appointment. If you are more than 10 minutes late, you may be asked to wait or reschedule your appointment.